Join Dieter, Chad, and Rene for iPhone 3.1 Beta 3, Google Voice rejection, iTablet and Verizon rumors, Palm/iTunes escalation, SMS exploits, and all the news and how-tos. Listen in! iPhone 3.1: Augmented Reality Apps are a Go! Apple and Record Labels Trying to Reignite Album Interest with “Cocktail”? Apple and China Unicom Finally Maybe Potentially Have an iPhone Deal. Possibly. Palm’s Roger McNamee Wants to Know if You’re Still Using an iPhone? iPhone 3GS Hardware Encryption “Useless”? 1GHz ARM Mobile CPU on the Horizon — but is it iPhone Bound? 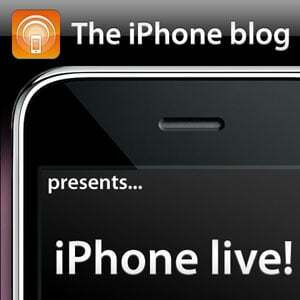 Thanks to the the iPhone Blog Store for sponsoring the podcast, and to everyone who showed up for the live chat!